Attract top early-career talent and retain it. I am a community development director in a mid-sized county. I oversee a department of 35 staff, most of whom are professionals. I’ve been in my position for three years. To become more successful as a department head, I want to better attract and retain great talent. Many of our long-time managers and professionals have now retired. My challenge is that we are not attracting great professional talent from other public agencies as we were able to do in the past. When we do hire talented professional staff, such as land use planners, they tend to leave after a short stint with us. In addition, we are not attracting young, early-career talent from the universities in the region. We pay competitive salaries and benefits in comparison to other local governments in the region. Our department cannot be successful without attracting and retaining great staff. And I cannot be successful as a department director without top talent. What do you suggest we do to address these talent challenges? Local governments are in a war for talent. . . and we are losing the war. 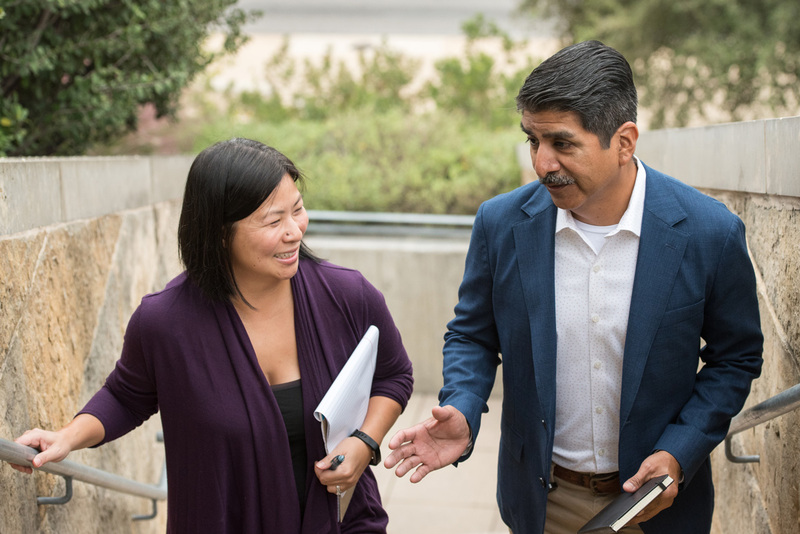 Cal-ICMA (the California affiliate of ICMA) recently launched the Talent Initiative to help city, county, and special district organizations better attract, retain, and grow talent. The research effort included a survey of 372 senior managers and emerging leaders, interviews with private and nonprofit sector thought leaders, and 11 focus groups held throughout California involving 272 local government executives. To help you deal with your talent dilemmas, let me share some of the findings and recommendations from the Talent Initiative. Why are local governments losing the war for talent? For more than a decade, local governments have been experiencing a retirement wave of baby-boomer professionals and managers exiting full-time careers. This has been a quiet crisis that has snuck up on us. Thus, most local governments have not taken steps to build their talent and leadership pipelines. Moreover, it has become increasingly difficult to steal or poach talent from other government agencies. The Gen X talent pool is smaller than the baby-boomer generation pool. While some agencies have raised compensation levels in the face of this talent challenge, it is difficult to raise salaries much greater than those offered by other local governments. In addition, our protracted hiring processes, bureaucratic and hierarchical management models, risk-aversion, and stodgy cultures with little flexibility make it extremely challenging to compete with private and nonprofit sectors, especially for workers under 35 who seek innovation opportunities and agile organizations doing meaningful work. It has become clear that local governments must grow their own talent and retool organizational cultures. What is a winning culture? Culture is simply defined as “the way we do things around here.” Culture is the underlying operating system of the organization. Talent is mobile and can choose more purpose-driven, engaging, and supportive cultures. Employees feel connected to the purpose behind the work. People know what is expected of them. Someone cares about them at work. There is an emphasis on challenge, learning, and growth. People have autonomy within certain “guiderails” to do the work. People are recognized for their efforts. Because employees are truly valued, the organization provides flexibility in scheduling, as well as other policies that support family and personal lives. Why would a talented professional want to join our organization and stay with us? Why would a talented professional be reluctant to join our organization and stay with us? What specific steps could we all take now to enhance our organizational culture and EVP? To get “unstuck,” you must start a conversation with employees and then do something. How do you enhance your Employee Value Proposition? Incorporate more flexibility in scheduling, such as teleworking and alternative schedules. Ensue opportunities for face-to-face interactions with top management. Create a culture of appreciation and recognition. Promote more autonomy for employees and provide opportunities to work on the whole project. Focus on employee engagement initiatives, including listening to employees, truly engaging them in problem-solving, and promoting a sense of community and belonging. Ensure ongoing performance conversations with employees (not just annual performance evaluations). Encourage employees to identify their career development needs, conduct development conversations with employees, and provide a menu of employee development resources. Invite each employee to include desired talent development plans in their regular reviews with a supervisor. Review the Executive Summary and full report for the Cal-ICMA Talent Initiative here. What is great talent looking for? In his Leadership Freak blog piece “Four Questions Leaders Must Answer to Attract Top Talent” (February 28, 2018), Dan Rockwell suggests that top talent is always pursuing a brighter future. The challenge for the senior manager is to proactively help top talent create their own preferred future while they serve the organization. How will I be challenged? What ongoing opportunities will I have? How will I be more employable in the future? While you want employees, especially top talent, to take charge of their careers, you must demonstrate that the organization will provide opportunities and resources (e.g., stretch assignments, new learning, job rotations, team leadership opportunities, coaching) for career development. How about attracting early-career talent? Are there big problems to solve in government? Am I interested in helping solve these big problems? Will I be empowered to help solve the big problems? Local government has a branding challenge. In attracting younger talent, we need to focus on the big problems that we need to solve. Local government also has an organizational culture and work systems problem. Early-career employees are frustrated that their organizations utilize old tech and cumbersome processes, do not move fast enough, and provide little autonomy to get things done. It is about culture and the way that local government does its work. Theme #3--Talent initiatives must be led by the chief executive who links talent to the big strategic goals of the agency and holds other senior managers accountable for talent work and results. Theme #4--Local governments must tell their story, especially regarding the opportunity to serve and make a difference. How about retaining top talent? According to the Gallup research (see First Break All the Rules), people join organizations because of the money, opportunity, and reputation of the organization; they leave organizations because of their supervisors. Supervisors are often promoted into their positions because of their technical skills. They may or may not have the requisite people skills. This lack of soft skills is exacerbated by agencies that eliminated supervisory and management training during the Great Recession. Managers often see their primary role as pushing out the work, not developing or coaching staff. The Talent Initiative report recommends that supervisors and mid-managers are provided with soft skills training, taught simple coaching skills (for example, how to conduct a one-on-one development conversation with direct reports), and evaluated on talent development activities. What brings you down on the job? Is there anything you'd like to change about your job? What strengths or talents do you have that aren't being used? How do you like to be recognized, acknowledged, and rewarded for a job well done? What would make your work more meaningful and satisfying? How can I or the organization help you reach your career goals? If you could wave a magic wand, what changes would you make in the work environment? What can we do to ensure we keep you with us? Of course, as a leader, you must be responsive to what you’ve heard. 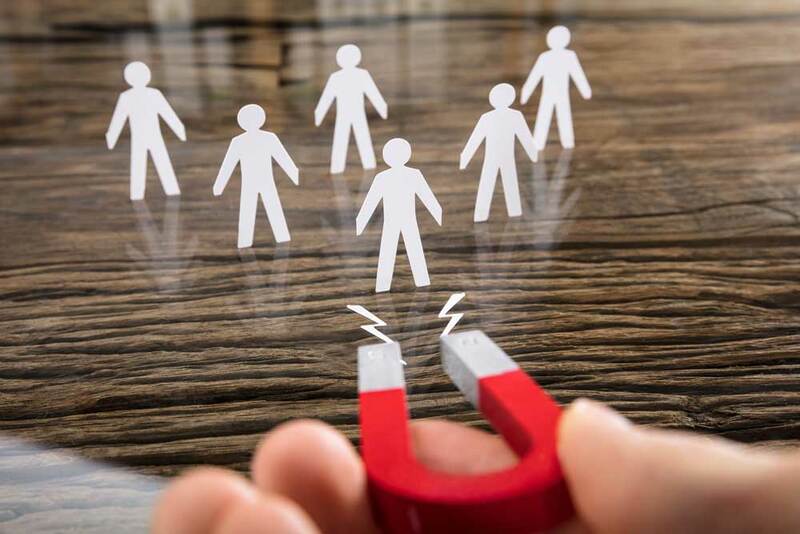 Based on the focus groups conducted by Cal-ICMA, the Talent Initiative identified the top 10 ideas to better attracting, retaining, and growing talent. Leaders can start anywhere in implementing some of these ideas. Conduct a simple workforce analysis (showing retirement risk now and in five years for different employee groups) to highlight any talent vulnerabilities. Hire several university interns and/or term-limited management fellows (those graduating with master's degrees) to build your agency’s talent pipeline. Eliminate minimum qualifications for entry-level positions; hire for potential or learning agility. Enhance job announcements showcasing the meaning and purpose of the work, organizational values and culture, and opportunities to grow and develop. Fully utilize stretch assignments, including participation on cross-functional project teams. Train all supervisors and managers on how to coach and conduct development conversations with direct reports (to access ICMA Coaching Program training videos, go to Coaching Resources. Ensure that supervisors and managers provide ongoing performance feedback to employees, not just a once-a-year performance evaluation. Conduct "stay interviews" with key talent (or better yet with all employees). Find "stay interview" questions here. Incorporate more flexibility into scheduling, including alternative schedules and, where appropriate, telecommuting. Engage employees in free ICMA Coaching Program webinars and distribute Career Compass columns (Access all Coaching Program resources here). While implementing a few of these ideas may require authorization or some funding, many are simple to implement and require no permission from higher-ups or any new budget. In fact, most of the recommendations are cheap, relative to our other activities in local government. As you gain this reputation of a great talent developer, people will seek you out and stay longer. You will become a talent magnet. For more resources on this topic, do not miss the ICMA Coaching Webinar: Creating a Culture for Cultivating Talent and Getting Results June 20 at 1:00 ET. Learn how to design your workplace for better results.